Since god-knows-when, secrecy and inaccessibility of government information has been a source of frustration for investigative bloggers like me. So just imagine my delight when then-Camarines Sur Rep. Leni Robredo filed a powerful Freedom of Information Bill, which would afford any citizen access to government records. Unfortunately, fortitude is not one of Leni’s virtues, as she [TP: crippled her own bill to satisfy her Liberal Party overlords], led by then-President Benigno “Noynoy” Aquino. 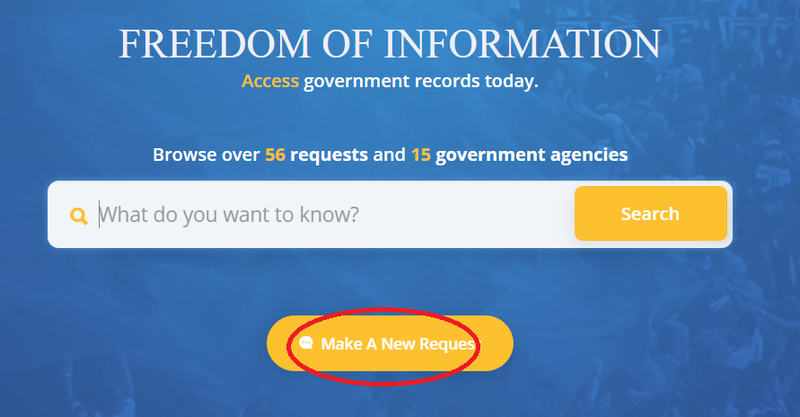 With Freedom of Information (FoI), regular citizens can request for government documents, allowing them to learn more deeply about how the government works. Unfortunately, FoI has been stuck in the legislature since time immemorial, and despite President Rodrigo Duterte’s May 2016 win, the best he can do is certify the bill as urgent, but the buck stops at the Senate and the Lower House. But that didn’t stop the current administration to finding a way to get around it. Duterte, being the Dyosa of Finding Ways to Move Forward, managed to get around this legislative issue. As Chief Executive, he issued Executive Order No. 2 [EO 2 s. 2016], which is basically a Freedom of Information Law that covers the entire Executive Branch. Note, however, that EO 2 is not absolute, as it comes with several exceptions, per EO 2 Section 4. These exceptions usually affect documents whose public release will affect national security, or the effectiveness of government policy, among others.Duterte issued EO 2 in the first month of his presidency, and compiling the exceptions took a few months. Fair enough, I said, so I waited. But the (relatively) long wait is over! In a formal ceremony held yesterday, Presidential Communications Operations Office (PCOO) Sec. 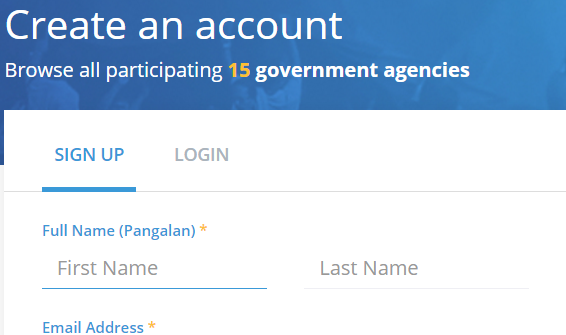 Martin Andanar finally launched the Freedom of Information Portal, called eFoI, which makes it easier for regular citizens like us to access government information. OFFTOPIC 1: I was actually invited to attend the event but I was too exhausted with TP-related stuff, so I asked PCOO to send me a copy of Andanar’s speech plus the reading materials they gave away during the event. While the Executive FoI is limited to the executive branch, Andanar noted that the Legislature is already working on it. Andanar said, “The Senate… has passed the FoI at the 17th Congress… The House of Representatives (is now conducting) committee hearings... We look towards a day where the Freedom of Information will be an Act and not just an Executive Order.”. OFFTOPIC 2: And by the way, I also heard rumors that traditional media outfits ranting because they weren’t invited and I told myself, “Buti nga sa kanila! (Serves them right!). The entire ceremony was livestreamed anyway, so why would they need to be there? It’s not like the ceremony in itself is controversial. Their rant stems not from not being invited: it stems from their bruised bloated egos. The “old-school” way of using FoI is messy because it involves paperwork. With eFoI, however, we can invoke FoI and request documents online. This is not very different from creating an email account, except that you’ll be required to a upload a proof of identification. A photo of any government-issued ID will do. You’ll be asked to select an agency that will respond your FoI request. Currently, there are 15 agencies to choose from but this list will be expanded. If the desired agency is unavailable and you can’t wait, you can file a paper-based FoI request at the PCOO office in the New Executive Building within the Malacanang Compound (Gate 2). STEP 3: Fill in details. "Title of Document" doesn’t have to be very exact, but it should be descriptive enough to allow the agency to understand what exactly you’re looking for. "Coverage or Time Period" refers to the dates covered by the document requested. "Intended Purpose" can simply be “Research” or if you want to be more specific, feel free to write whatever you want. "Personal Message" may be instructions or additional information that can help the agency process your request more quickly. All replies shall be sent fifteen (15) working days after the receipt of the request. The agency will be sending a response, informing of an extension of processing period no longer than twenty (20) working days, should the need arise [FoI Manual]. For eFoI requests (online requests), the government will reply via email. Duterte requires executive agencies to comply with FoI requests. Violators will be suspended on the 2nd offense, dismissed on the 3rd [FoI Manual]. Moreover, Duterte also ordered that there shall be “a legal presumption in favor of access to information”, so it is the government agency’s responsibility to prove that you are not entitled to the requested data, as opposed to you having to prove that you are entitled to it [EO 2 s. 2016, Sec 7]. After approval, the government will give you a link that leads to the information you requested. You can share the link, including the document, to anyone. Isn’t that neat?! With that said, I think it’s important that you check pending requests before sending a request of your own, because we do not want the government to get swamped with multiple requests for the same thing, as one approved request is enough for everyone to access the same piece information. You can check the list of pending, approved and denied requests at the Requests Tab of the eFoI site. What specific documents can I request? Oh, here’s where things get REALLY pretty! Here are some examples where FoI can be used. You can request for the cash releases made under the Aquino administration’s unconstitutional Disbursement Acceleration Program. From what I know, Aquino signed almost 2,000 Special Allotment Release Orders (SAROs) [MT] so we can’t really expect the government to give us each one of them. However, we can simply ask for an MS Excel file listing each SAROs control number, beneficiary, purpose, date of release, etc. Afterwards, you can send a supplementary request for specific SAROs that looks particularly fishy. You can also request for the release of records of conversations that ensued during the Mamasapano massacre. I am not sure of the government will grant such a request as it may fall under the exceptions, but it is worth a try. 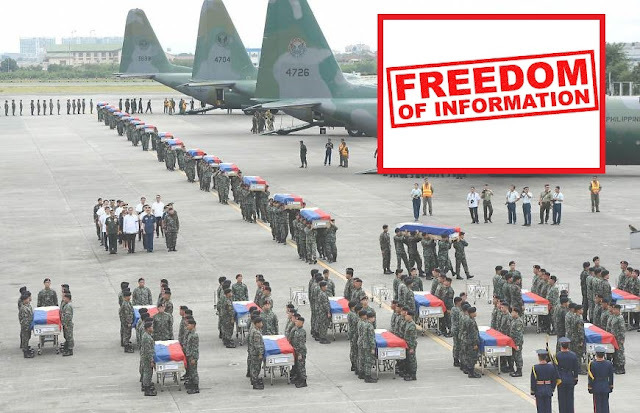 This way, we can get a better idea of how PNoy exactly bungled the operation that led to the deaths of 44 policemen. Remember 01 April 2016 when the government opened fire on starving farmers in [TP: Kidapawan]? I plan to use the eFoI portal to access not only the Department of Agriculture documents related to the bungled El Niño efforts, but also the President’s itinerary for the week immediately following that fateful day. I want to understand why Noynoy failed to immediately issue a statement, i.e. why Noynoy Noynoy-ed. I will also want to know why the PNP awarded the policemen involved in the incident, despite the incident still being under investigation. Ah! My heart is racing! I cannnnnot! These are just some three of the potential applications of the new eFoI portal. Oh, wait! We can also request for NBI’s records during Matobato’s stay in the Witness Protection Program. Let’s see what he told the NBI back then, then compare his statements what he said during the recent Senate Hearings. Wouldn’t that be awesome? Oh, and the Yolanda Funds. Oh my god, I can’t breathe with all this excitement! Do you have a particular issue that you want to investigate? Leave a comment on my Facebook Page at Facebook.com/TheThinkingPinoy!You can also check the FoI portal at Foi.gov.ph!